All the power of plant oils including hazelnut oil, organic jojoba oil and annatto oil, infused in a lip treatment to nourish and enhance their beauty. 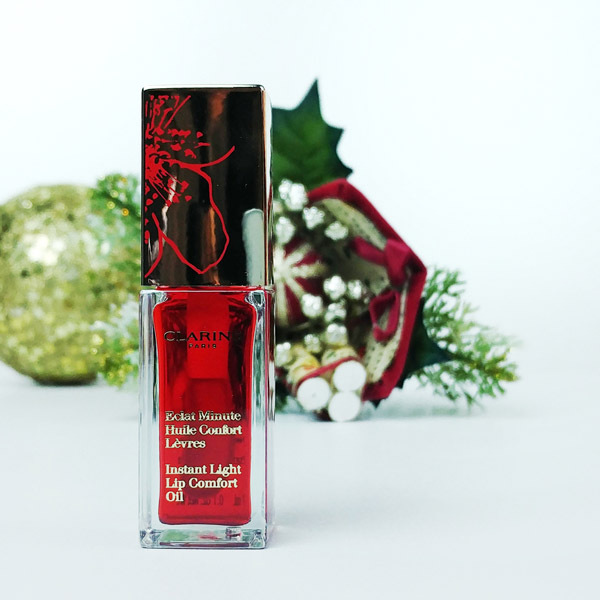 A unique fusion formula rich in plant active ingredients, directly inspired by the expertise of Clarins face and body oils. Seasonal Packaging. Shown here: 03 Red Berry. SRP: $25. Visit online. 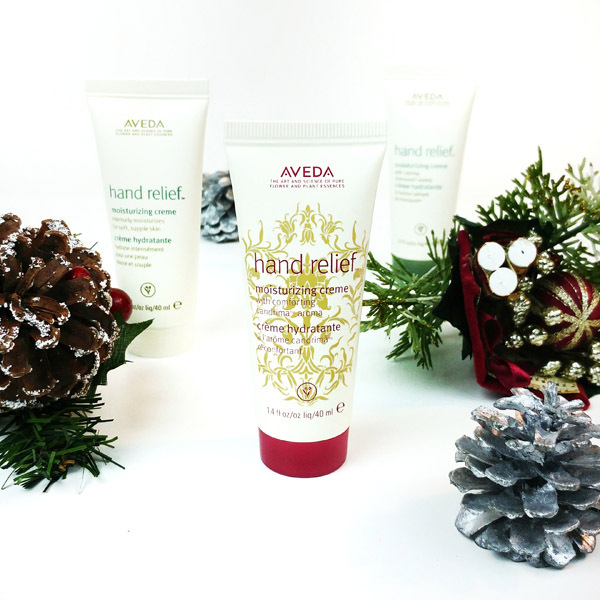 Limited Edition Hand Relief Moisturing Creme with NEW Candrima aroma, Shampure aroma and with the original aroma! SRP: $36. Visit Aveda. Plus, with the purchase of the gift sets, you can become a part Aveda’s mission to “care for the world we live in,” and help support and care for the community of papermakers in Nepal. Since 2007, more than 5,500 people have earned income to make more than 2,000,000 sheets of paper for their gift sets over the course of their partnership, which means 5,885 children have been able to attend school, and 2,490 families have been able to buy food and clothing, repair their homes, and plan for the future. More working mothers have become role models for their daughters, and families have their needs met for happier and healthier lives. And because the lokta bark paper they purchase is Certified Wildlife Friendly®, it helps protect 42,000 acres of forest; which means communities can coexist with the Red Panda and endangered Snow Leopard. Nourishing, moisturizing and soothing, new Moroccanoil Body™ Shower Milk is a highly-concentrated, yet gentle body cleanser that provides the skin with deep hydration. The unique formula infuses skin with the benefits of antioxidant-rich argan oil, while working to immediately restore skin’s optimal moisture balance, as well as improve overall elasticity, texture, and tone. 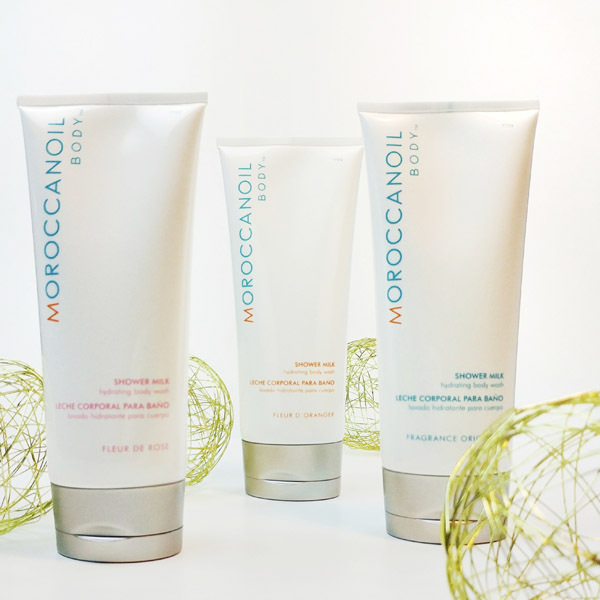 Available in three fragrances—Fragrance Originale, Fleur de Rose and Fleur d’Oranger—Moroccanoil Body™ Shower Milk enhances the shower experience with fragrances inspired by the Mediterranean. Fragrance Originale is the signature Moroccanoil scent, an unparalleled sensorial experience inspired by the Mediterranean Sea. A nod to the fresh roses that thrive in Mediterranean climates, Fleur de Rose is a warm, refined and sophisticated rose scent for a luxurious, sensual experience. Finally, Fleur d’Oranger is infused with an orange blossom scent for a revitalizing, energizing and invigorating shower experience inspired by the flowers and botanicals of the Mediterranean. SRP: $32. Visit online. It’s like a breath of fresh air to your skin. Superfruits, Hyaloronic Acid & YouthSpark Actives Complex to Hydrate, Protect and Revive. Mist on the unique blend of antioxidant-rich superfruit botanicals and a powerful actives complex they call YouthSpark crafted with hyaluronic acid, marine plankton, Aquasense and other actives to help protect and refresh your skin from the ravages of exercise, air travel, changing climates and pollution. By purchasing their products you are supporting sustainable agriculture in Brazil to help stop rainforest deforestation. Plus, 1% of your purchases funds their rainforest conservation efforts through their EARTH FOR YOU. YOU FOR EARTH project! SRP: $38. Visit online. 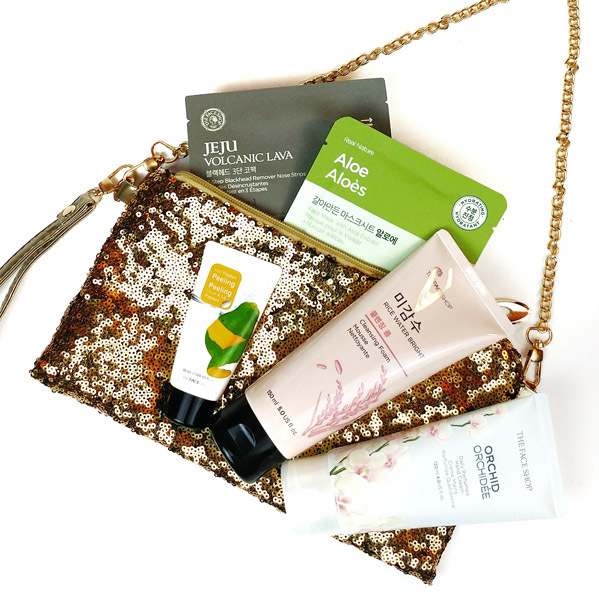 Discover their best sellers in a fancy gold purse! This gift set includes: Real Nature Face Mask Aloe, Jeju Volcanic Lava 3-step Blackhead Remover Nose Strips, Orchid Daily Perfumed Hand Cream 120ml, Rice Water Bright Cleansing Foam 150ml, and Mild Papaya Peeling 30ml. SRP: $25. Visit online. 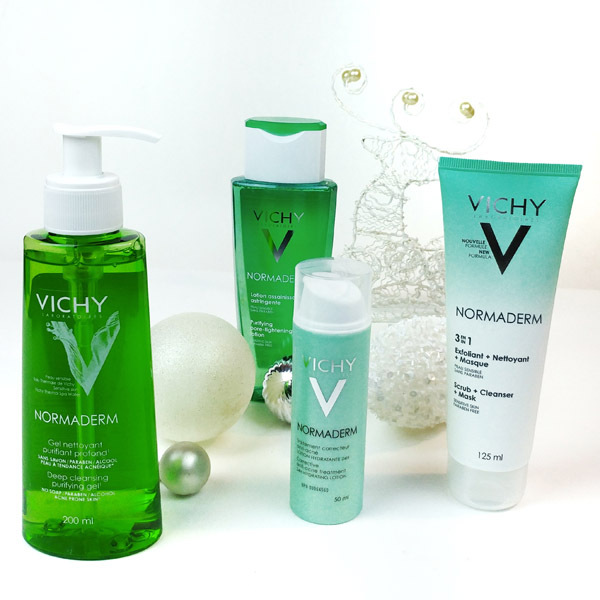 Vichy Thermal Water, is a unique and natural mineral water with therapeutic benefits for the skin, giving it an irresistible healthy beauty. Bringing advanced scientific and dermatological expertise to skincare has always been at the heart of the Vichy brand. Each year they make ground-breaking discoveries that further the knowledge of the skin and help to provide the most targeted solutions for your skincare needs. Cutting-edge research from their global network of medical experts is at the heart of Vichy’s health strategy – each skincare product is an innovation, each active ingredient is a discovery, and each texture is a unique sensorial experience. Some of our favourite acne care and prevention products: Deep Cleansing Purifying Gel, $19.95; Purifying Lotion, $19.95; Corrective Anti-Acne Treatment, $29.95; and their Tri-Activ Mask, $19.95. Visit online. Since their inception in 1958, they have been using sustainable farming and green practices to create natural, organic and Biodynamic® products. We LOVE that their products are free of parabens, animal by-products, propylene glycol, sodium lauryl sulfates, harmful colorants and fragrances, mineral oils, petroleum, and other harsh cosmetic chemicals. Plus, they are committed to protecting the future of our planet through their green practices – for every product sold they will plant a tree. 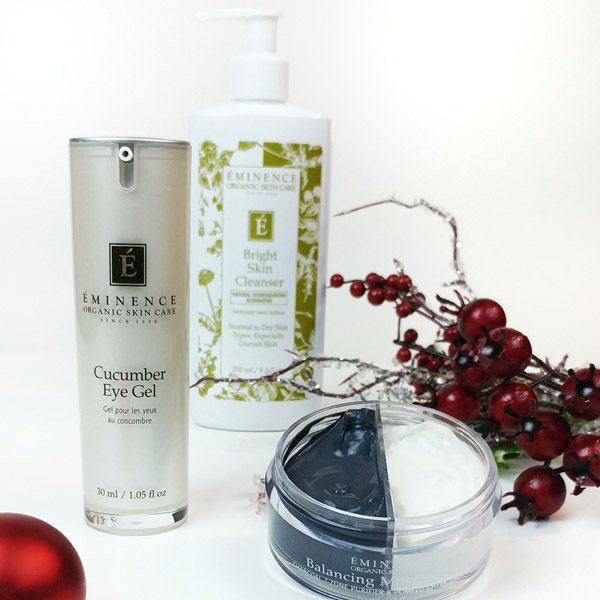 Products we love: Cucumber Eye Gel, $68; Bright Skin Cleanser, $38; Balancing Masque Duo, $54. Visit online. Don’t be fooled by our chilly winter weather, we still need to protect our skin from the sun’s harmful free radicals! 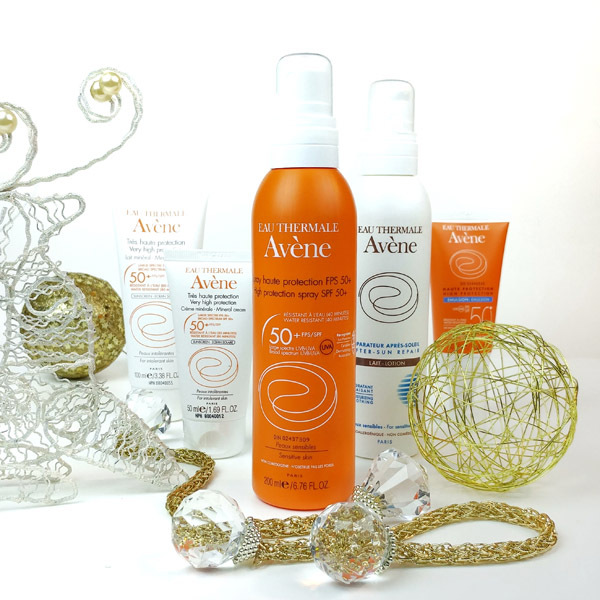 Avène photoprotective products ensure very broad protection in the UV spectrum thanks to an exclusive triple combination of exclusive active ingredients: SunSitive® protection. From the left: Very High Protection Mineral Body Lotion, $30; Very High Protection Mineral Face Cream, $28; High Protection Body Spray, $32.50; After-Sun Repair, $27.50; High Protection Emulsion Face, $25. Visit online. Dermalogica is a proud leader in an industry that gives women entrepreneurs more opportunities for growth than any other. In fact, the vast majority of their network of 100,000+ professional skin therapists are women, as are a large percentage of their clients. To celebrate these women’s pivotal role in their successes as a brand, The Dermalogica Foundation was formed to nurture and support underserved women and girls looking to gain economic security for themselves and their families. Love that! 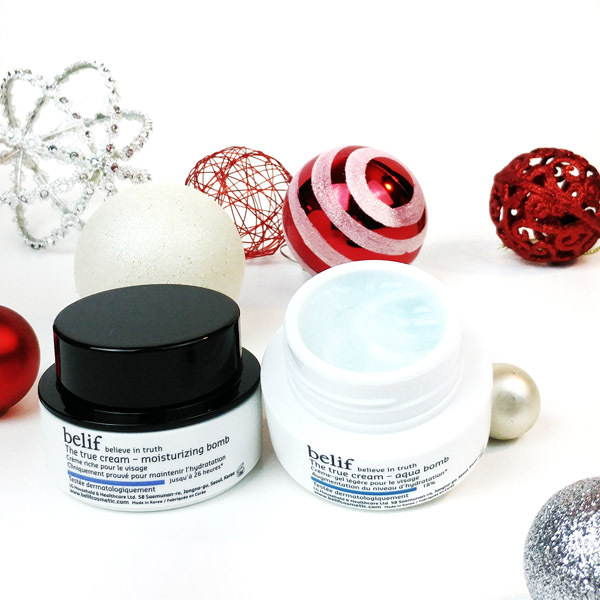 Skin Perfecting Set: Fight fine lines day and night with this perfecting duo. 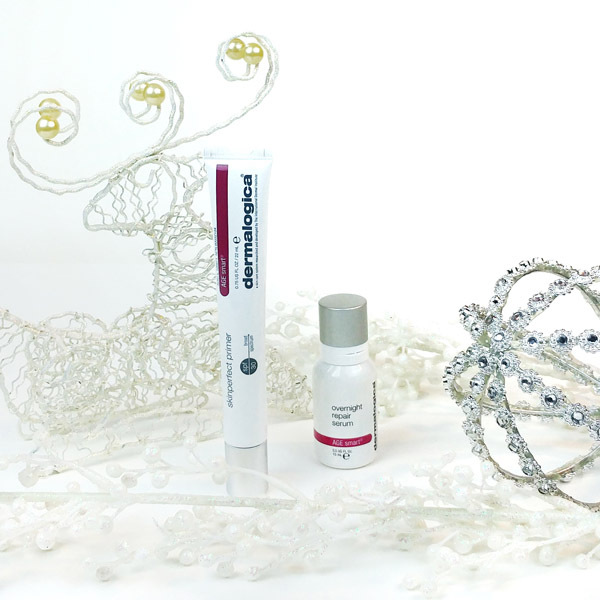 SkinPerfect Primer brightens, primes and protects skin all day, while Overnight Repair Serum helps stimulate collagen production for smooth and revitalized skin. SRP: $109. Visit online. belif is a true herbal cosmetic brand completed by marrying the traditional approach of treating the body and mind to maintain the skin’s ideal condition using natural herbs with belif’s proprietary safe and innovative extracting method. The moisturizing bomb has the powerful hydrating agent, Comfrey Leaf. This indulgently moisturizing cream offers 26-hours of long-lasting hydration and comfort to the skin. By comfortably enveloping the skin, this milky and soft white cream deeply nourishes and hydrates skin. Ideal for normal to dry skin types. SRP: $47. The aqua bomb is an explosion of instant hydration. Formulated with the extracts of a time-tested ‘hydrating herb’ – Lady’s Mantle, this light-weight gel cream floods the skin with a burst of refreshing hydration to replenish and revive. Ideal for normal, combination and oily skin types. SRP: $47. Visit online. All photos taken with the LG G5!